MOSCOW, June 1. /TASS/. The Russian Olympic Committee (ROC) intends to sign an agreement with the International Olympic Committee (IOC) on measures against violations of anti-doping regulations for the period of next four years, ROC President Stanislav Pozdnyakov said on Friday. "I am heading for Lausanne next Tuesday and we have an agreement, which will be signed later," Pozdnyakov told journalists. "The agreement will be signed by the head of the Olympic Solidarity Commission on behalf of the IOC." "The agreement will be valid for the period of four years and will stipulate international cooperation measures, including measures against anti-doping rules violations," the ROC president added. 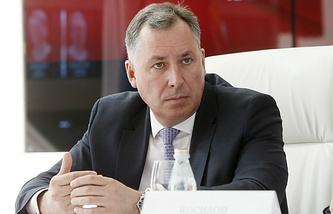 Pozdnyakov, 44, was elected to take the post of the ROC president on May 29. He is a four-time Olympic gold medalist and ten-time world champion in fencing. Early last month, previous ROC President Alexander Zhukov made an official statement saying he had no plans to run for another presidential term in Russia’s governing Olympic body due to his additional work in the Russian parliament’s lower house. Zhukov has been at the helm of the ROC since May 20, 2010. He is also the First Deputy Chairman of the State Duma, Russia’s lower house of parliament, and a member of the International Olympic Committee (IOC), as well as a deputy chairman of the Supervisory Board of the Russian Chess Federation. On December 5, 2017, the IOC announced its decision to suspend the Russian Olympic Committee, banning the national team from participating in the 2018 Olympic Games in South Korea’ PyeongChang. 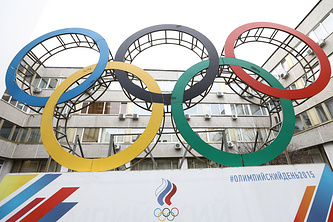 The IOC accused Russia of systematic violations of anti-doping rules, particularly during the 2014 Sochi Olympics. The IOC, however, allowed clean athletes to participate in the games as ‘Olympic Athletes from Russia’ or OAR. The ROC’s membership in the International Olympic Committee was reinstated shortly after the Olympic Games.